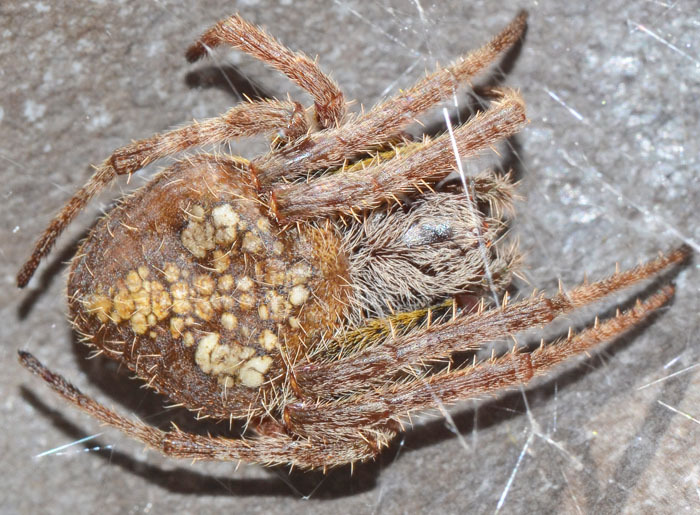 Eriophora ravilla (Tropical Orb Weaver). Tropical Orb Weavers can show a great variety of colors and patterns, although many are dull brown. This one features a number of bright pigment spots that create a cross-like pattern. The species is mainly found along the Gulf coast.